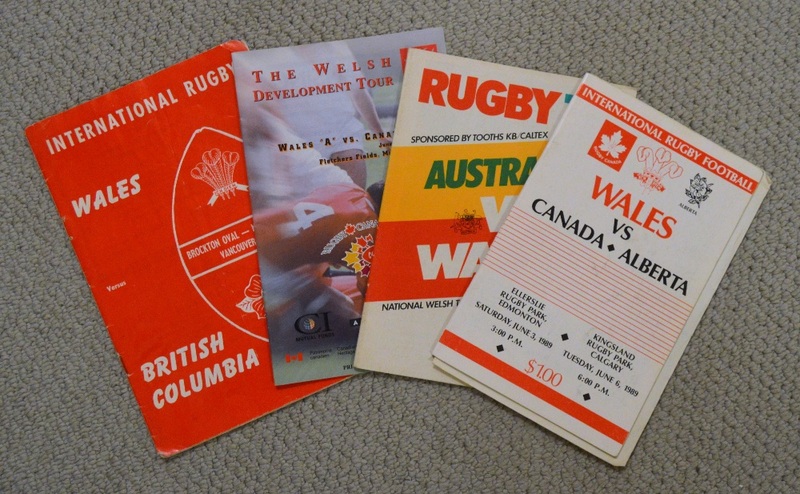 Wales Abroad Rugby Programmes, some signed (4): Scarce v British Columbia (Vancouver) 1973; 2nd Test v Australia, Sydney 1978, signed Clegg & C Davies; v Canada & Alberta 1989 (joint prog. 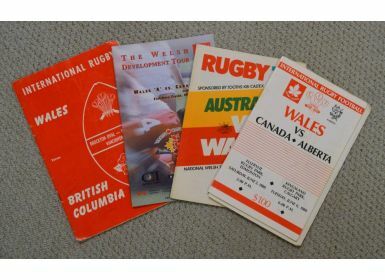 ), fully and neatly signed by the Wales squad, with teams insert from the Canada match; and Canada 'A' v Wales 'A' (Markham, Ontario) 2000. G/VG.